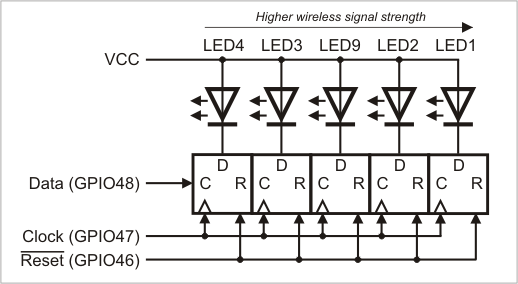 Five yellow LEDs of the LED bar are intended primarily for the indication of the RF signal strength (i.e. when the Wi-Fi and/or GPRS options are installed). These LEDs are controlled through three GPIO lines 46, 47, and 48.